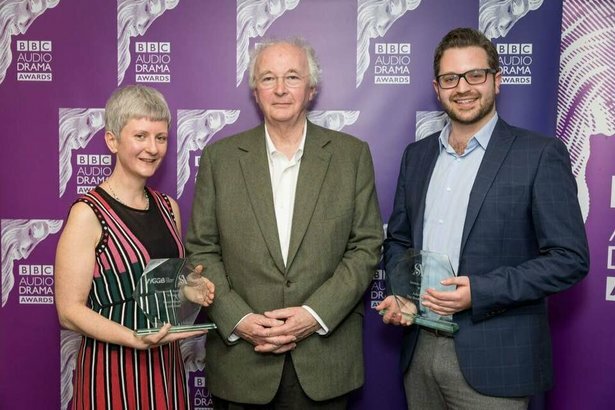 BORDERLAND by New Weather’s Sarah Woods has won the Tinniswood Award, for best original radio drama script of 2017. The prize was presented by author Philip Pullman, and Sarah gave thanks to the people and organisations she worked with on the struggles of those forced to flee their homes and cross borders, including Liberty, The Refugee Council, Oasis Refugee Centre in Cardiff and the Coventry Refugee and Migrant Centre. Borderland will be repeated on Friday 2nd February, at 14.15, on BBC Radio 4. It was directed by James Robinson, BBC Cymru Wales, for Radio 4, who Sarah also thanked for his great contribution.